About a month ago, my mother sent me a question from one of her co-workers. The question was: “Who was Melchizedek? Was he a type of Christ or considered to be the Christ?” That is a great question, but it requires some background to answer. When most people think of the word “type,” they think of it as a word that describes the various kinds of something else. For example, they might say, “andouille is a type of sausage,” or “Vidalia is a type of onion.” Generally speaking, we use “type” and “kind” interchangeably. Speaking in terms of theology, this is not the case. When speaking about Holy Scriptures, particularly in the Old Testament, a “type” is a person or an event which foreshadows or prefigures some aspect of the life or ministry of Jesus Christ. There are hundreds, if not thousands, of examples in the Old Testament. The example of Jonah is probably one of the best because Our Lord mentioned it Himself. St. Peter used this Psalm in his Pentecost speech as Psalm which prophesied about the coming Messiah. Verse 1 states, “The Lord said to my Lord…” Clearly, the “You” in verse 4 likewise refers to Jesus Christ. (See Acts 2:29-36) Thus, while not of Levitical descent (being of the Tribe of Judah), Jesus was able to serve as our Great High Priest (Hebrews 4:14) because He was a priest in the same manner (“according to the order of”) as Melchizedek was a priest of God Most High. Finally, no sacramentalist could ever read Genesis 14 without noticing that Melchizedek brought out “bread and wine.” Now wine and bread were common in all sorts of religious observances, but if we are talking about a King of Righteousness and Prince of Peace who is both King and Priest, who also happens to bring out the same elements Our Lord referred to as His Body and His Blood at the Last Supper (St. Luke 22:19-20), we can by no means dismiss the similarities. 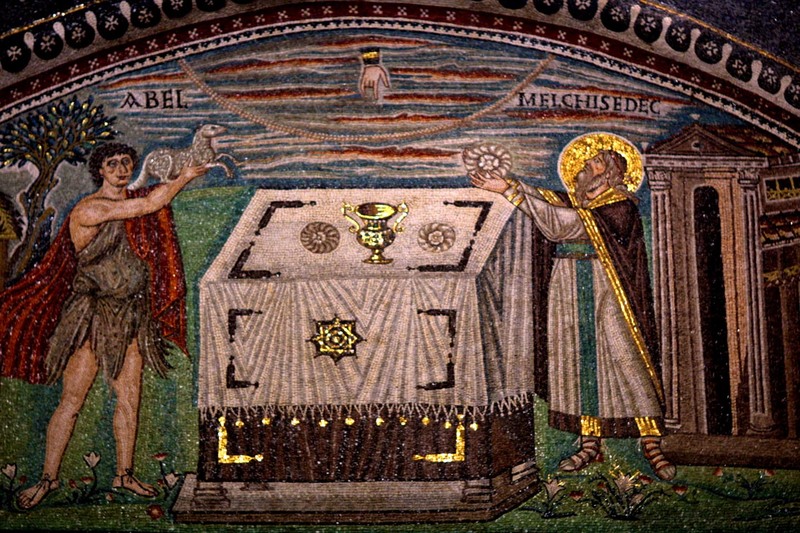 So, yes, Melchizedek is a type of Christ in that he very much prefigures the coming of the Messiah who is both Priest and King and who offers Bread and Wine for us. While this means that Melchizedek is a type of Christ, it does not mean that Melchizedek was Jesus. We believe that the Incarnation was a unique event. Jesus did not walk the earth as a man prior to His conception by the Holy Spirit and the Virgin Mary. There may have been many types, even Angelic apparitions (see Genesis 18:1-10), but the Word did not “become flesh” until the Incarnation. Thus, yes, Melchizedek is a type of Christ, but, no, he is not Jesus Himself. Melchizedek is not so much a name as it is a title or designation of honor. It is a position or office that has to be filled by a worthy candidate. The term is a transliteration of two Hebrew words, melek and tsedeq. The Hebrew melek means king and tsedeq means righteousness. Therefore, you are correct when you say that the term “melchizedek” means literally, “king of righteousness.” but it is not his name. Because a king is always preeminent in his jurisdiction, whoever Melchizedek was, he had to be preeminent in righteousness. He had to be the “king” of righteousness. Melchizadek was not Jesus. But, Jesus was Melchizadek. Eric, again, thanks for the reply. I agree with your concluding statements, but not with your first statements. Melchizedek might not be a name so much as it is a title, but, then again, many Hebrew names seem like title though they are regarded as proper names. Examples of the blending of names and titles would be the prophets Malachi and Obadiah whose names mean “king/messenger” and “Servant of the LORD” respectively. It could be that “Melchizedek” was a title or it could have been a proper name. There are some rabbinic traditions that suggest that Melchizedek was one of the sons of Noah. Nevertheless, while Melchizedek prefigured Christ, he was not the Christ, but Jesus is the Prince of Peace, King of Righteousness, and Our Great High Priest. “Malachi” is not a proper noun but rather an abbreviation of “messenger of YHWH”. It appears to be used in the same way that the author of John’s Gospel referred to himself as “the disciple Jesus loved.” Both books are technically anonymous. Obadiah’s name is Obadyahuw, also not a proper noun. In ancient times, one tribe (the one we call Judah) was called Yahudim (Yahoodim), plural for Yahudah (Judah). They were not known as “Jews.” Yahudah means “Worshipper of YHWH.” The Hebrew practice of using abbreviations and circumlocutions for the name of YHWH, really make it impossible to know whether many of the prophets, whose names included the name of YHWH, were identifying themselves by name or title. Eric, your last example proves my point. While certain words may have originally been titles, as time progresses on, titles can become proper names. Leaving aside the point that the Yahudim or Judahites were names after their ancestor Judah, there was a group of people who were called a plural form of Judah which meant something like “Those Worship the LORD.” Even then, we have two Apostles who took that title and used it as their proper names. Both Judas Isariot and Saint Jude (both variants of the same name, Judah) used what you are calling a title as a proper name. Yes, it was a title. Yes, it became a proper name. Likewise, Malachi and Obadiah were used as titles. Likewise, they became proper names. The Jews did not just pull a name out of thin air and slap it on their children; the names they chose had meanings. That seems odd to us because we have distanced ourselves from the underlying meaning of our names. We are often unaware that John, a variant of the Hebrew Yochannan, means “God is Gracious” or that Nathaniel, also derived from Hebrew means “Gift from God.” Were someone to hear that I had named my children “Gift from God” and “God is Gracious” they would assume there must be some mistake; nobody names their children things like that. Most often they would be correct, yet the underlying meaning of the names is such that, upon looking at the meaning, we might confuse a name for a title or vice versa. 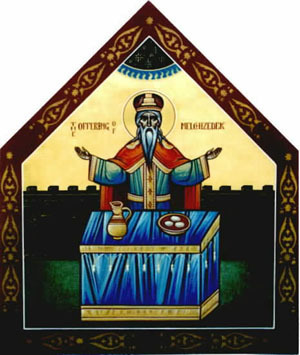 As I previously mentioned, might have been a title, but it is just as likely that Melchizedek was given a prophetic name full of rich meaning. Beyond the linguistic speculation, neither Psalms nor Hebrews suggests that the word was titular. The “order of Melchizedek,” along with many other “orders” are named after people, not titles. We call it the Levitical priesthood, not the High Priest Priesthood. It is named after the person, not the title. This is fun, Scott. I really enjoy your blog. I agree that Hebrew names had meaning and I concede that titles often later become names. However, when I imagine (which is mostly what historians do) Melchizedek being introduced to Abraham, it was as the King of Righteousness rather than, “His name is The King of Righteousness.” Likewise with Malachi and Obadiah, I can imagine a prophet, who speaks for the Lord, introducing himself as a messenger of the Lord or as the Lord’s servant. We, of course, now consider those introductions to be the names of those prophets. I find your theory of Jonah being dead three days in the belly of the great fish interesting. I’m not sure that I would make the same connections, but it is thought provoking. I don’t know that I’d go so far as to say that Jonah was “dead” for three days. I would say that in his prayer he said something like “I cried out from Sheol,” which is the place where the dead go, but I have exaggerated before too. “Junior year was hell,” for example… Certainly Jonah saying that he cried out from Sheol for three days definitely foreshadowed the Lord’s Resurrection. Thanks for the comment! Has anyone read the Dead Sea Scroll 11Q13 regarding Melchizedek? They imply that Melchizedek was IMMORTAL.